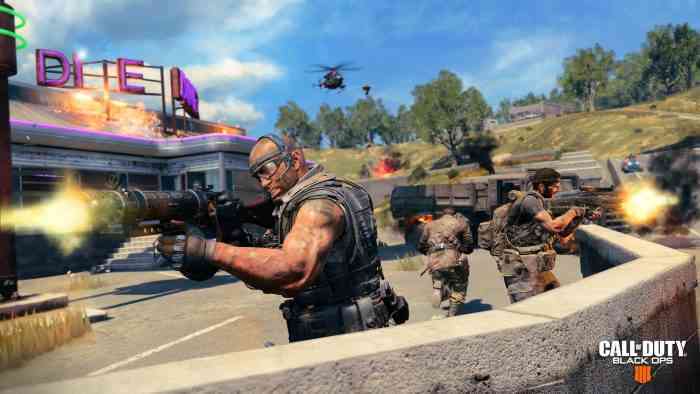 There’s no denying that Call of Duty: Black Ops 4 has taken the world by storm, earning over $500 million dollars in the first three days on the market. Now, the fourth title in the Black Ops series has officially been out for an entire week and already Treyarch and Activision are adding a ton of new content including the return of the Black Market and a whole lot more in preparation of their Halloween event. This morning Activision and Treyarch announced this brand new update complete with the Black Market, a ton of customization options, and the very first seasonal operation called Operation First Strike. Though the update has only been released for players on the PS4, those on the Xbox One and PC will get their hands on this new update next week, on October 26th. In addition to these operations the Black Market will also feature special events for a limited time only. The very first one begins tomorrow, October 20th for PS4 players, and next week for PC and Xbox and will feature cool Halloween themed unlocks. And if you didn’t want to play through more of the game to earn some sweet rewards, the Blackjack’s Shop has arrived as well offering players the ability to purchase specific cosmetic items that will only be available for one week stints. This feature is not quite ready yet and will be available sometime in November. What do you think about this new update? Are you excited to be able earn some cool new loot? Let us know your thoughts in the comments below and don’t forget to keep it locked for updates!